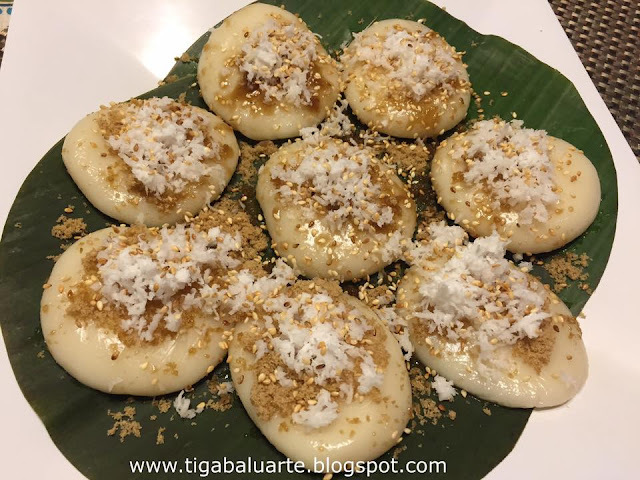 Palitaw or Sticky Rice Cake is a Filipino snack or merienda that is made of glutinous rice flour topped with grated coconut, roasted sesame seeds and white or brown sugar. 1. Combine water and glutinous rice flour in a bowl. Mix well. 2. Divide the dough mixture into 8 parts then mold them into ball shape and flatten using the palm of your hand. Set aside. 3. Boil enough water in a deep pot. Once water starts to boil put the flatten dough one by one. 4. When the dough starts to float, remove them from water and allow the water to drip. 5. Combine sugar and roasted sesame seeds. 6. 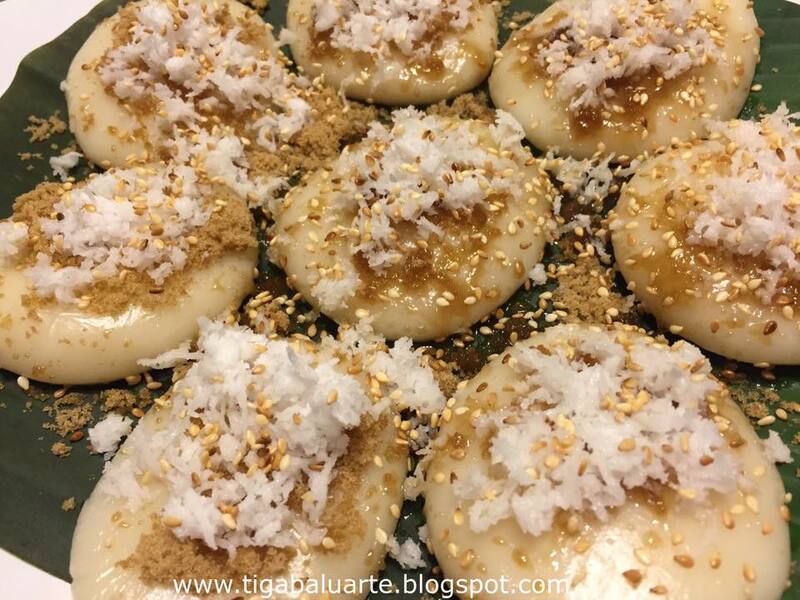 Roll cooked dough in grated coconut then in roasted sesame seed-sugar mixture and serve. You can serve your palitaw with extra sugar, roasted sesame seeds and grated coconut on the side. I always like mine with extra sesame seeds. Yummy!